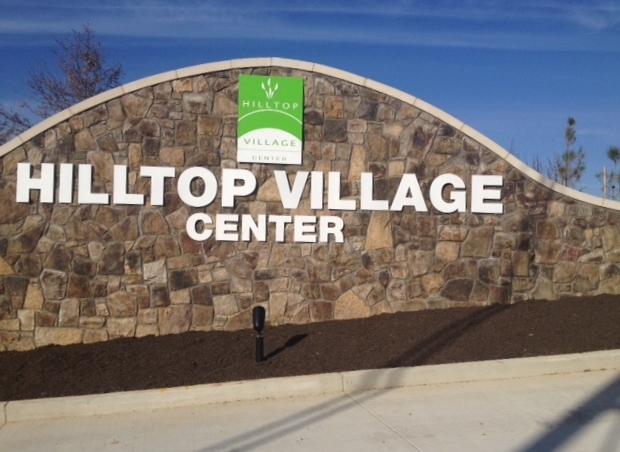 Home » Alexandria: Hilltop Village Center and Wegmans Update! 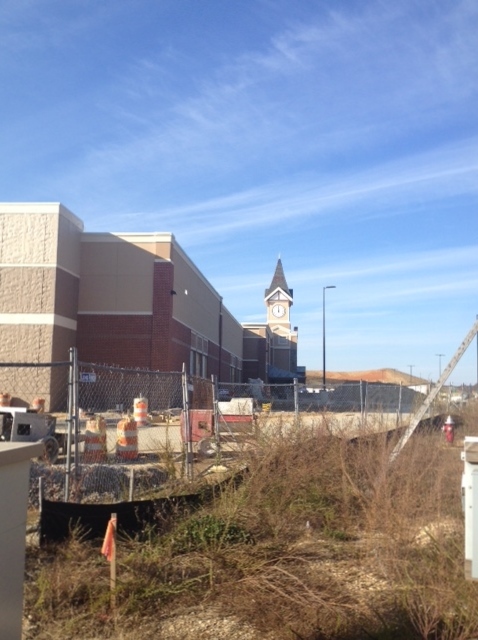 Crews are certainly working hard at Alexandria’s Hilltop Village Center and Wegmans! As you can see below, the “Hilltop Village Center” monument is up and is actually lit up at night. The letters are very large and area easily readable. Later on, I would expect there to be some flowers/landscaping in front of the sign. Workers were planting trees along Beulah Street as well. 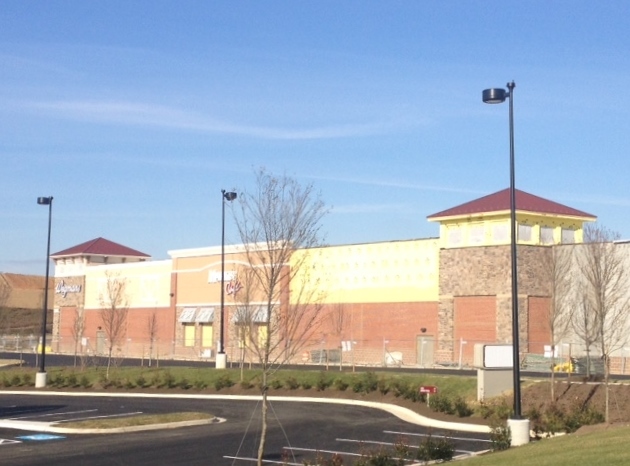 Wegmans is coming along nicely, as they have signage on the building, and an advertisement for help posted. 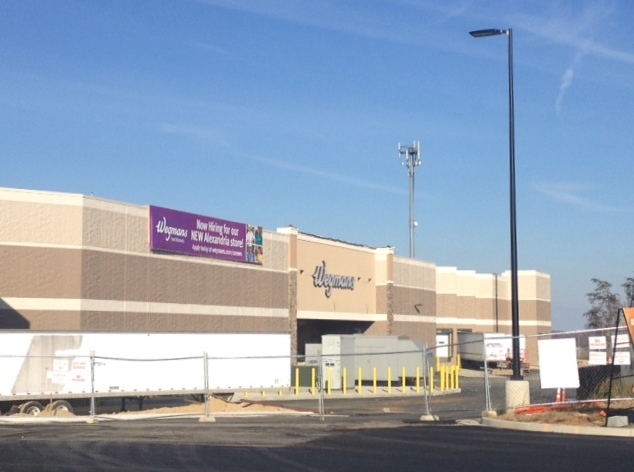 According to the latest reports we’ve heard, Wegmans is still on track to open next year, hopefully earlier rather than later. 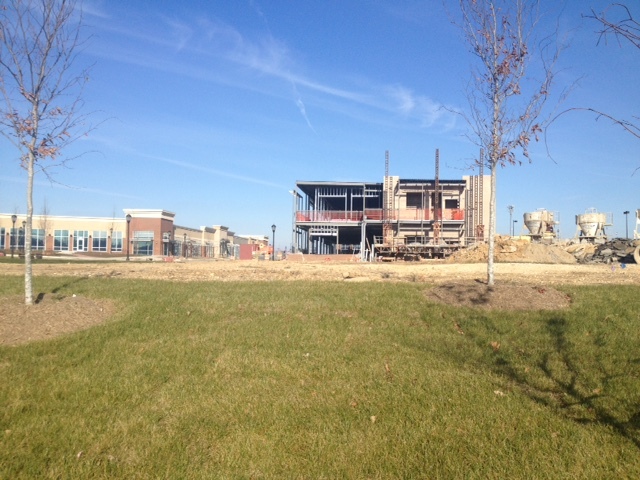 This view was taken from Beulah Street and shows the office space on the right, and the “shopping center” area on the left. This site plan shows which spaces are taken, and the ones that still need to be filled. Notable names include The Greene Turtle, Moe’s Southwest Grill, Peet’s Coffee and Tea and LA Fitness.Work is continuing an additional section of the center, which will house professional offices.